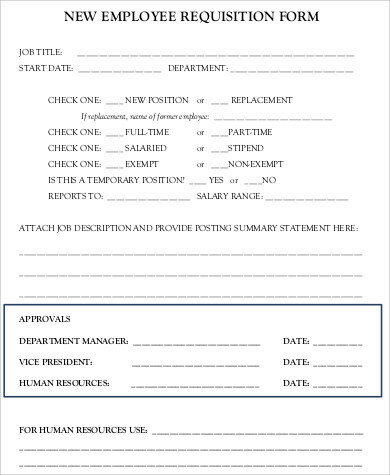 Employee requisition forms are used when a company or a business have staff positions to fill. 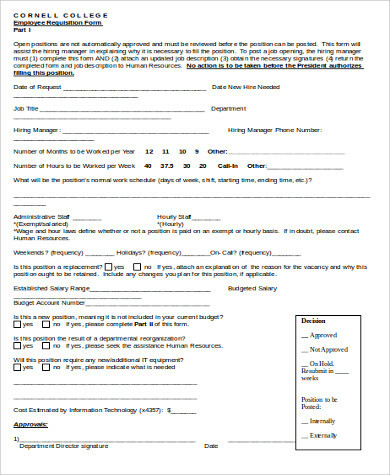 If a manager wants to make a new hire or wants to replace an employee that is leaving the company, a requisition form is needed to be submitted and approved. Once the human resource department establishes the need for the identified job description, the job is then advertised. A system like this allows a company to maintain the overall management control of the hiring process. Staffing numbers, and the costs. 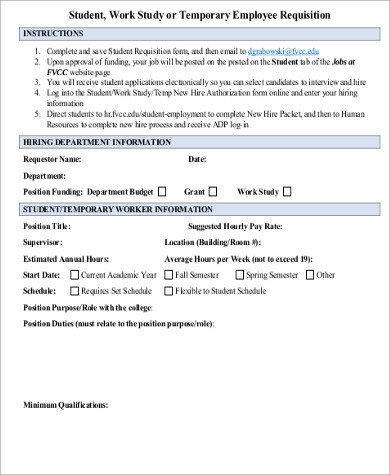 You will find on this page student employee requisition forms, employee training request forms, and other Sample Forms that you may need, just click on the links to download. Job requisitions are an essential part in the hiring process of different businesses and companies. 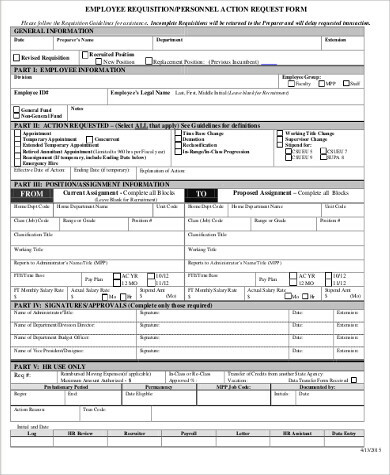 Employee requisition forms contain the job title, the job description, and start date. They also include the working hours and pay rate as well as any specific job qualifications. 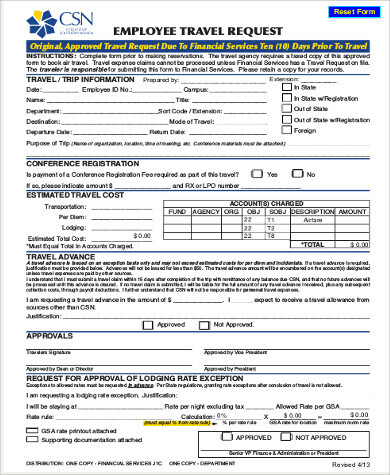 Our Employee Discipline Forms and Employee Termination Forms may also be useful to you. Accuracy – A job requisition typically contains the job title, fill date, departments, and the requisite skills and the job qualifications. Documentation – Job requisitions indicate how many positions a company needs and also how many new hires have been added. Job requisitions help create a written document if in any case the company wants to review their job postings and the recruitment process. Efficiency – The organization or a business can measure the efficiency of their recruitment efforts through these job requisitions. Outsourcing – Metrics related to job requisitions can help identify whether the organization should consider outsourcing their recruitment efforts. The decision to outsource recruitment depends on the job requisitions a company orders and how long it is required to fill those positions. Process – Documentation of processes is important for a number of reasons. Reviewing processes help determine the efficiency and whether employment regulations are being complied. The procedure of preparing a job requisition may vary from company to company. 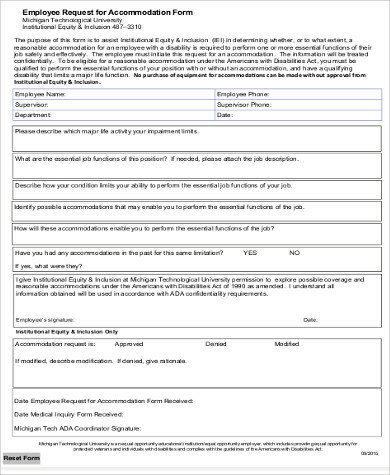 Here are 3 tips to help you get started in writing a job requisition with the samples that you will find on this page. Do your research – Before writing a job requisition, you should research on the job responsibilities of a specific job position. You should also consider the task that will have to be done and how it will affect the company as a whole, focusing on the terms of revenue, product or service quality, and morale. Get buy-in – Talk to stakeholders from other departments of the company to get them on board with the position. Focus on outcomes – Lay out the qualities a successful candidate can accomplish for the company. Set goals to make it easy on the person approving the requisition to understand what the company is getting and what it benefits from the hire. 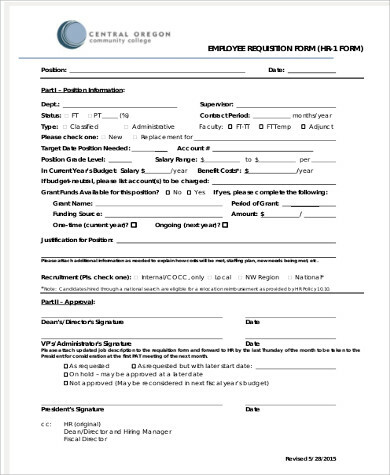 An employee requisition is an essential part in the hiring process of a company. It is always best to select the best candidates for the job. 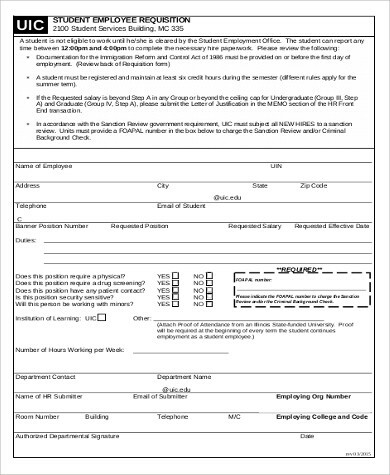 The forms that you can download on this page will make it easier for you to write an employee requisition form. 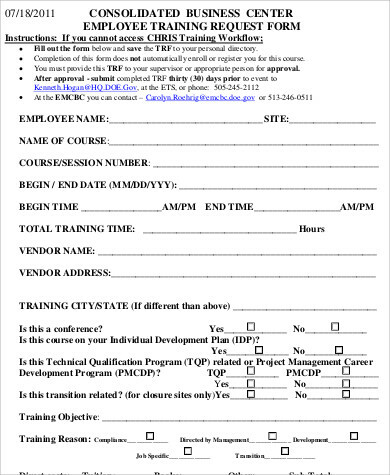 Employee Evaluation Forms may also be useful to you, click on the links to download.